Come in hungry, you gone left us with none but crumbs. You know that old saying about how people who truly live full lives forget more than most of us will ever learn? Son Little knows that feeling. So he writes to remember. Considering how long he's been making music, that's saying something. Born in Los Angeles to a preacher and a teacher, as a kid he absorbed songs from dusty family records and learned saxophone and piano, though he felt more at home inventing his own language on those instruments rather than following the lesson plan. Adapt or die, as they say. Cycling through jazz, rock and R&B history, the hungry young son was beginning his true education. A few years later, the Livingstons moved to Queens, introducing Aaron to the active arts of hip-hop, basketball and city life. High school in suburban Jersey left him wanting more, so he headed to Manhattan and Columbia University, where he discovered art, recreational substances, and girls, girls, girls. He dropped out, got a job, got sad, kept journals. He moved to Philly, enrolled at Temple University, met the legendary Roots crew, even played music with them; they put his voice on an album, undun. He had a daughter, then a son. He was happy, still writing all the while. Then, slowly, the music stalled. Faded. He got another dead end job. He checked out of days. He got sad again. He forgot how to adapt. But, as it has the ability to do, the songwriting saved him. It was in his blood, he remembered. Coltrane. Hendrix. Santana. Tribe. And this time he vowed to never let it go. That's not to say he's always happy; he's human, after all. But making music helps keep things in perspective. "I feel the weight of life as I always did, as everyone does," he says. "But I feel the weight lifted, because I love doing this. And the more I do it, the more I love it." Son Little writes everywhere, every day, finding inspiration on the train, in a car, on the street, in the supermarket, with his children. Sometimes the ideas are fresh. Sometimes a tune comes from his past, a single spark. Nothing is off limits. "It could be just a thought, and everything else comes from that," he says. "In one of my books could be a phrase that later is a song, and then the song becomes a whole catalog. It’s gotta germinate from somewhere." Inspiration firmly struck, the song begins to bloom. There are many channels to Son Little's broadcast, varied stops on the dial, from blues to soul to funk to folk, and jook-joint jazz and chamber pop and back again. His voice—raw, weary yet alert, grave and gravelly, Marvin and Otis and Stevie all at once—soars and creeps, cracks and moans. His songs haunt, thrill, yearn and stomp like all the best work of his heroes. And the learning never stops. Little has collaborated with highly respected artists like The Roots and the producer/DJ RJD2, mentoring under the former and creating a duo with the latter called Icebird, which allowed him to flex his considerable vocal chops and song arrangement skills. "I've always loved the studio, but RJ helped me see how I can use it more effectively and find ways to challenge myself, and be inventive with sound. And The Roots, it’s hard to quantify what I’ve learned from them. Everything from how to rehearse to how to occupy the stage and command it…two things that are very fundamental in this business, and they are masters." This fall sees the release of the first recorded output from Son Little for Anti- Records, an EP called, wouldn't you know it, Things I Forgot. Six songs: three babies (released first as videos), two twins, and an RJD2 remix. It's all there, all those misremembered things: Triumph and trophies, hardship and heartache, soft sentences, loud chapters, facts and birthdays, faces and places and scrapes and scales, nights and weeks and years all lost, gone into the ether, slipped away, out-sizing our normal human bandwidth. A grip of memories; Things He Forgot. 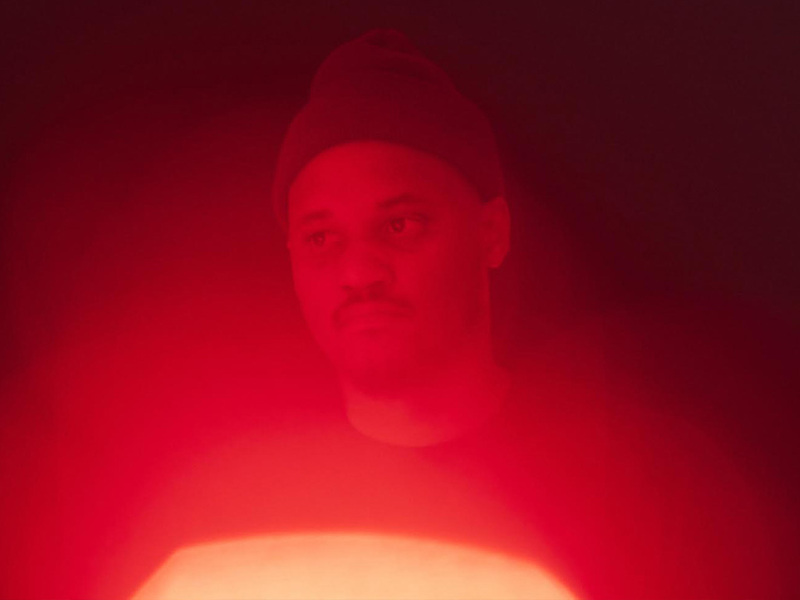 Son Little writes to remember, matching the disparate vibes of his full, full life with a patchwork blanket of sound, experience and inspiration. Inventing, observing, adapting. And still, it grows. "I don’t see any end to the learning," he says. "And to understanding more of something that you immerse yourself in. Could be anything, again. Right now I’m immersed in this music and I feel that my understanding appreciates and changes scope and perspective. It's really rewarding in its own way."